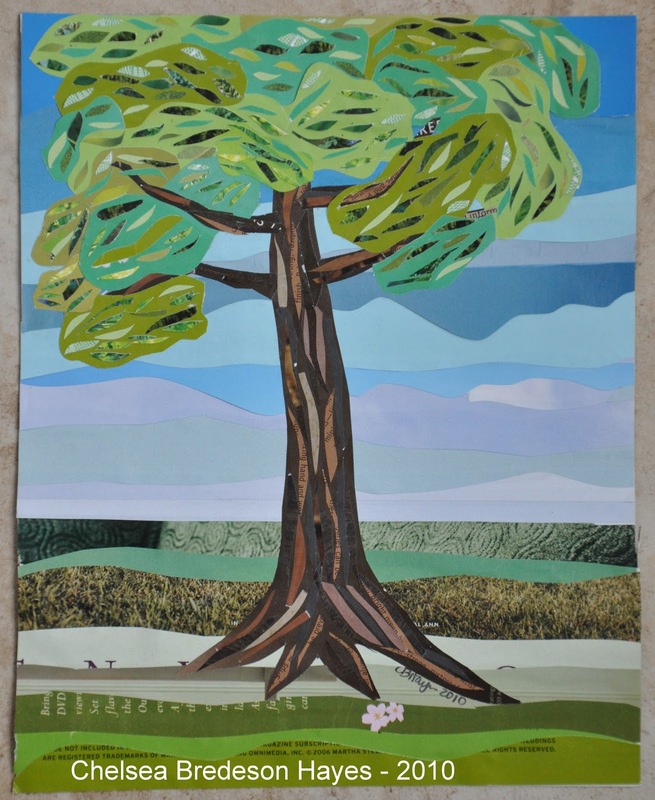 Summer Tree, collage on paper, 8 x10″, 2010. I completed this tree collage for my in-laws for a Christmas present. We had seen beautiful quilting work at an arts & crafts show in Winston-Salem, NC in November that was the inspiration for this tree collage. I think my next step may have to be to attempt to quilt with paper on my sewing machine. I am not sure of the outcome but it would be an interesting experiment.